Omori, is a bitter old man with a tragic past who lives alone on an island. 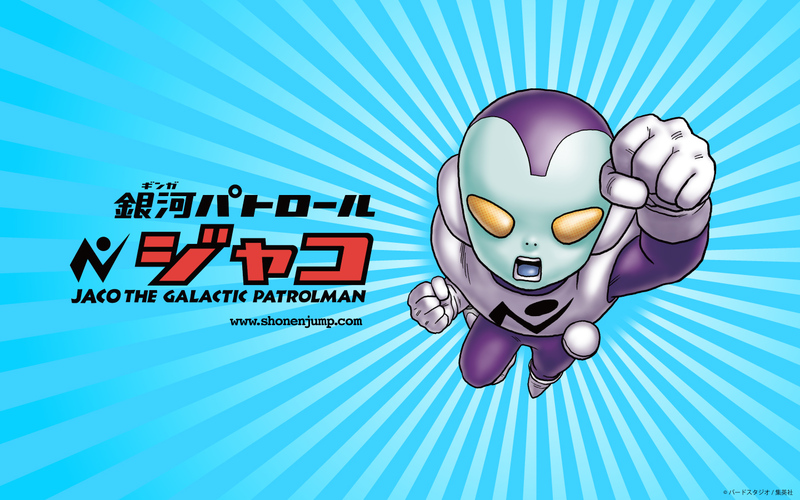 But all that changes when he meets Jaco—a wacky alien with a knack for mischief! Can Jaco's free-spirited ways melt Omori's cold icy heart? Find out in this heartwarming manga by the legendary Akira Toriyama! It has been about ten years since Toriyama-sensei's last work however he still seems to come up with the most amazing plot ideas, Also his artwork has not degraded or changed since his last work. 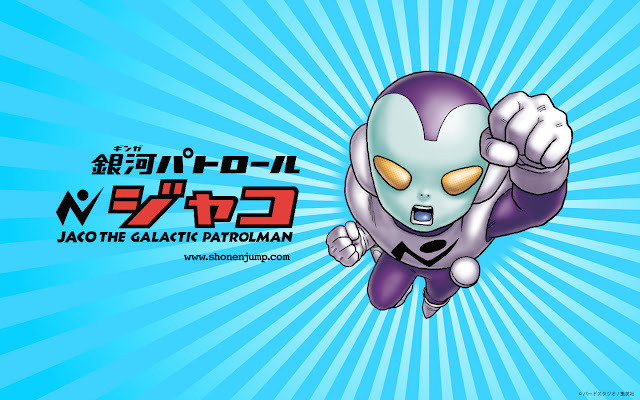 Jaco The Galactic Patrolman began running in Weekly Shonen Jump issue 33. It will only contain 13 chapters and has been rumored to have links with one of Toriyama-sensei's previous work, Dragonball. It has also been said that this will be Toriyama-sensei's last work.